Why is there a 6th Taxing District? At the turn of the last century, South Norwalk and Norwalk were separate cities. In 1921, a big merger took place, when the most powerful, South Norwalk, became the Second Taxing District, Norwalk became the First District, East Norwalk the Third, and Rowayton the Sixth. Thus, officially, Rowayton became known as the Sixth Taxing District of the City of Norwalk. How many 6th Taxing District Commissioners are there? The Sixth Taxing District is run by three elected District Commissioners. One Commissioner is elected by the voters in the District every two years for a six-year term. No more than two Commissioners may be from one political party. The three current Commissioners are John Igneri (D), Mike Barbis(D), and Tammy Langalis (R). What do the 6th Taxing District Commissioners do? Oversee certain services are provided to Rowayton that are not provided by the City of Norwalk like garbage and leaf pick-up, and street lighting. Oversee and maintain all of the common properties of the Sixth Taxing District, Rowayton, including Pinkney Park, Bayley Beach, the Rowayton Community Center, the Rowayton Arts Center as well as the train station and its parking lot. What funds do they oversee and spend? By law, the Commissioners hold an annual town meeting the first Wednesday of every March for the residents to review and then vote to approve that coming fiscal year’s budget (which is now running around to $1.7 million a year) and it must be approved by all of the town’s residents. From where does this $1.7 million come? When a homeowner pays his property taxes, approximately 5% of those dollars go to the Sixth Taxing District while the remaining 95% go to the City of Norwalk. Your city taxes pay for things including the public schools, the police department, zoning rules and enforcement, city parks (e.g., Calf Pasture Beach in East Norwalk, the Community Dock in Rowayton) and the paving of roads. Who else represents the citizens of Rowayton besides the three Commissioners? Rowayton residents are represented in the government of the City of Norwalk by two members of the Common Council as well as by the Mayor. On the Common Council, the residents of Norwalk are represented by five electoral Districts – these are geographically different than the taxing districts (only confusing matters further). 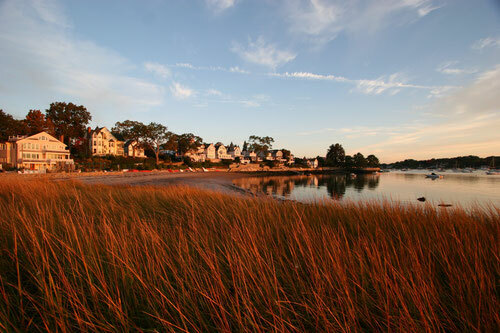 Rowayton is part of District E. Other areas of Norwalk that comprise District E include West Norwalk, Brookside, Wilson Point, Harborview, Village Creek and a few other neighborhoods within South Norwalk. The Common Council members are elected every two years. Currently John Igneri and Tom Livingston are representing District E on the Council. In addition, there are 5 at-large members of the Common Council. These members are to represent all Norwalk residents. They are also elected every two years. On the state level, we are represented at the Connecticut General Assembly by a State Representative as well as by a State Senator. Each position is from a distinct political district. At the Connecticut House of Representatives, we are in District 141, which encompasses the Rowayton, Wilson Point and Brookside sections of Norwalk as well as the Town of Darien. In the Connecticut Senate, we are in District 25, which includes all of Norwalk and Darien.